It's not unusual to feel a little nervous about a visit to the dentist, but if your fear prevents you from getting the care you need, you may have a dental phobia. Luckily, there are a few things you can do to overcome your fears. 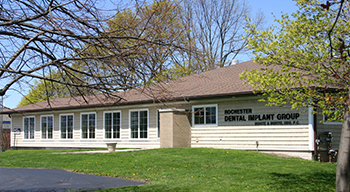 Buhite & Buhite, DDS, has offered general and cosmetic dentistry for more than 40 years to patients in the Rochester, NY, area; they offer the following advice to help you overcome your fear of dental visits. Find A Sympathetic Dentist: Call several dentistry practices and ask if they routinely treat patients who have dental phobias. Ask if you can come in, meet the staff, and tour the office. During this appointment, you'll spend a little time getting to know the dentists and their procedures. If you have reservations after the visit, move on to the next dentist on your list. Ask Questions: You may feel anxious at the dentist's office because you're not in control of the situation. Ask your dentist to explain every step of the procedure or exam so you can know what to expect. Use A Signal: Use a signal, such as raising your hand, to let your dentist know if you would like to stop a procedure if you experience any pain or feel overwhelmed. Let your dentist at Buhite & Buhite, DDS, know which signal you prefer. Even if you're having a simple cosmetic dentistry procedure, such as teeth whitening, it's a good idea to remind your dentist about your phobia at the beginning of the appointment so he can accommodate you. Take Advantage Of Sedation: Sedation techniques can help you feel calmer during your dental visit. Inhalant sedation, commonly called "laughing gas," helps you feel relaxed, but you'll remember everything that happens during treatment. Intravenous sedation is a better option if you would prefer a deeper level of sedation. 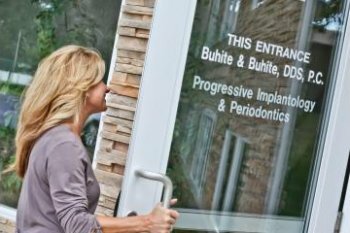 The compassionate dentists at Buhite & Buhite, DDS, will work with you to help you manage your fears. Call the cosmetic dentistry practice at (585) 342-1323 to make an appointment, or visit their website and Facebook page for more information.